Champion & Associates, OmanTek. 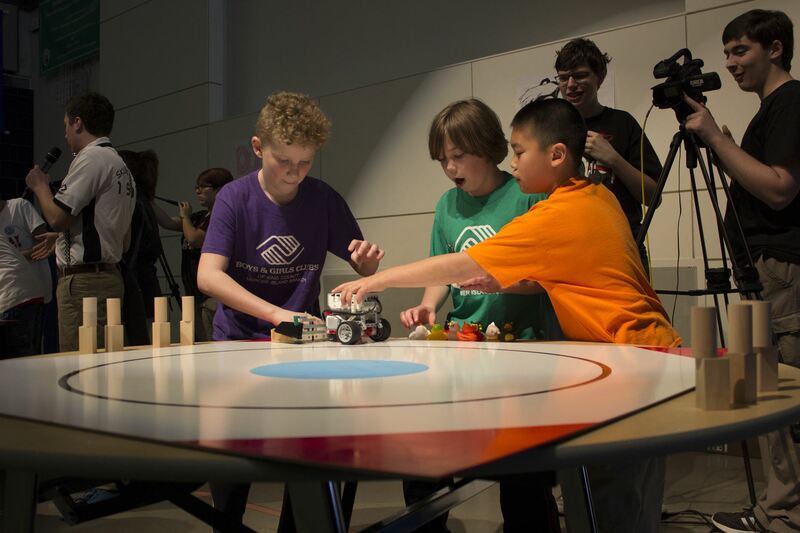 Staff from all 12 Boys & Girls Clubs spent an entire day at Raisbeck Aviation High School learning all of the components of the Lego kit and how to use those parts to build a robot to compete in a competition. The students designed a LEGO robot that could collect rubber ducks and bring them to a specific part of the field. Skunk Works held a competition for all the teams to demonstrated their robots. 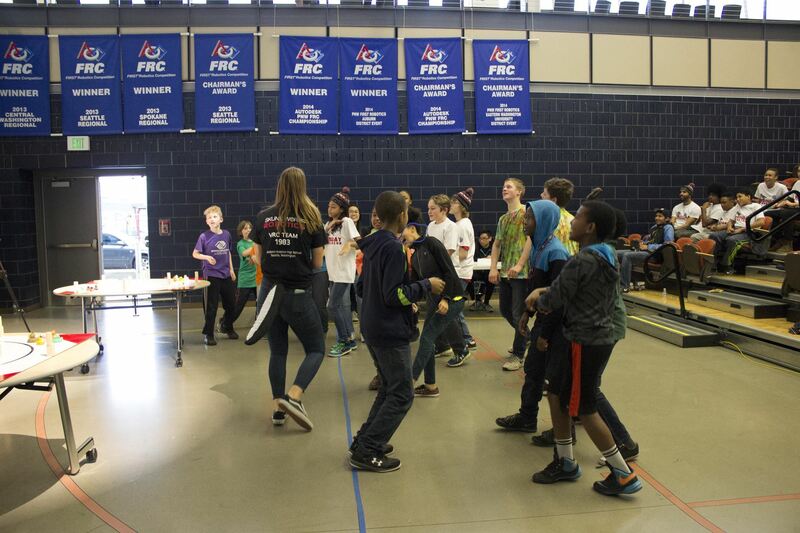 The kids had a blast and learned about how fun STEM can be. The 2016 competition is "Ring Fling". Download the rules here and watch the game overview video below. And we will see you soon at the competition. You can also check out the 2015 game rules and video.